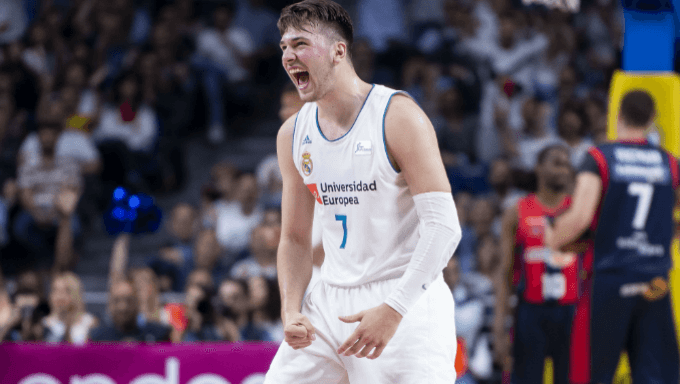 Bet Luka Doncic to win Rookie of the Year at 9/4 on 888sport. Bet Deandre Ayton to Win the Rookie of the Year at 11/4 on Ladbrokes. It’ll be tough for any rookie to match what Ben Simmons accomplished en route to last year’s Rookie of the Year award. It may be tough for anyone to match what Donovan Mitchell did as runner-up to Simmons. But this year’s crop of rookies is incredibly deep, and there’s playing time to be had which should make it an intriguing race for those interested in betting this year's Rookie of the Year market. Let’s get right into it: Our five favorite bets for 2019 NBA Rookie of the Year based on odds from the top online sportsbooks. If you thought Ben Simmons wasn’t really a rookie, wait until you see Doncic play. Just 19 years old, he’s played professionally for three years in Madrid, winning just about every individual and team award imaginable. He’s as NBA-ready as a first-year player could be, giving him the leg up in any Rookie of the Year discussion. He’s also going to be a media darling, given his unique circumstances that have brought him to the league. Dallas has Dennis Smith Jr. at point guard but that will only show off Doncic’s versatility further. He can play off the ball, and his flare will be endearing to even the most casual fans. Simply put: Everyone is going to love watching him play. So it isn’t surprising that he’s the favorite to win the award, sitting at odds of 9/4 on 888sport. The minutes are going to be there, he’s ready to play right away and he’s got a unique story. Everything is lined up for him to contend for this award all year. He was the top pick for a reason. And nearly half of the last 15 winners were top picks. Ayton should absolutely be in the running this season. He has a path to major minutes – Chandler and Len aren’t real threats – and there’s talent around him to succeed. Ayton is already one of the biggest players in the league, meaning he should be able to withstand the rigors of an 82-game schedule. He’ll play right away and he’ll play often. It’ll only help Ayton’s case that the Suns should be much better. Though they’re not truly in playoff contention, they’ll improve on last year’s 21-win campaign. He’s got a budding star next to him in Devin Booker, and the two should form a scary-good 1-2 punch. Getting the top pick at nearly 3/1 odds – Ayton's 11/4 odds at Ladbrokes seem to be a safe play if your looking to back him. Numbers tell a large part of the story when it comes to the NBA’s Rookie of the Year. And you don’t need to look past Sacramento to find a guy who is going to gobble up points and rebounds. Bagley enters the NBA after becoming the second underclassman since 1992 to average 21 points, 11 rebounds and shoot 61% in his lone year at Duke. His scoring acumen and ability to grab rebounds will translate immediately at the next level. He is still figuring out the defensive end, and he’s a bit of a project in that regard, but in terms of pure numbers he has a chance to lead rookies in both points and rebounds. The last four players to do that (Simmons, Towns, Carter-Williams, Griffin) all won Rookie of the Year. There are plenty of mouths to feed in Sacramento, which is why Bagley’s odds are 17/2. But that’s a pretty large payout for a guy who won ACC Player of the Year and was a First Team All-American a few months ago. None of the rookies on this list – or true contenders for the award – will play directly with as talented a player as Sexton will. The combo point guard should be a terror in pick-and-roll situations with Kevin Love, giving the Cavs a combo to build around in the post-LeBron era. Sexton was an animal in the Las Vegas Summer League, averaging 19.6 points and 3.4 assists in seven games. George Hill and Jordan Clarkson aren’t real threats to steal many minutes, as the Cavs want to get their point guard of the future serious run. He may not be the most efficient player right away, but again counting stats are the important factor here. He’ll have a chance to rack them up. His 17/2 odds at 888Sport seem high. His downfall may be that the Cavaliers are contending for a playoff spot and do give Hill major minutes, relegating Sexton to the second unit. That obviously would hurt his chances. We’ll wager Cleveland rolls out their rookie early to see what they’ve got, and Sexton won’t relinquish the starting gig. Young is either going to run away with Rookie of the Year honors or prove to be a bust. There isn’t much middle ground for the high-volume, low-efficiency point guard. But the Hawks clearly like what they see early, trading away Dennis Schroder last month to open the door for Young to start from Day 1. And while the Hawks won’t keep the Warriors up at night, they should be improved. Young has solid scorers around him in John Collins, Taurean Prince and rookie Kevin Heurter. That should keep his assists high; Young will take care of his scoring on his own. This is a boom-or-bust pick, but we like it at 10/1 with 888. He has the ceiling to run away with this award, especially with him being such a polarizing figure in the media. He’ll have national appeal, which helps in the media vote.